Leisure Homes Inc. has over forty years of practical experience and real insight in bringing complex planning, affordable housing, finance, and market development projects to completion. Our vision allows us to find solutions to every planning and development challenge from public and private financing for affordable and mixed-income housing to innovative implementation strategies for redevelopment and revitalization of our projects. The majority of our projects were financed through a combination of public and private sources, including USDA Rural Development, the Arkansas Development Finance Authority, conventional bank financing, and equity raised in the capital markets through the sale or syndication of low-income tax credits. T & E CONTRACTORS, INC.
Construction of the projects is through T & E Contractors, Inc. which was formed in 1992 and is owned by Thomas E. Embach. 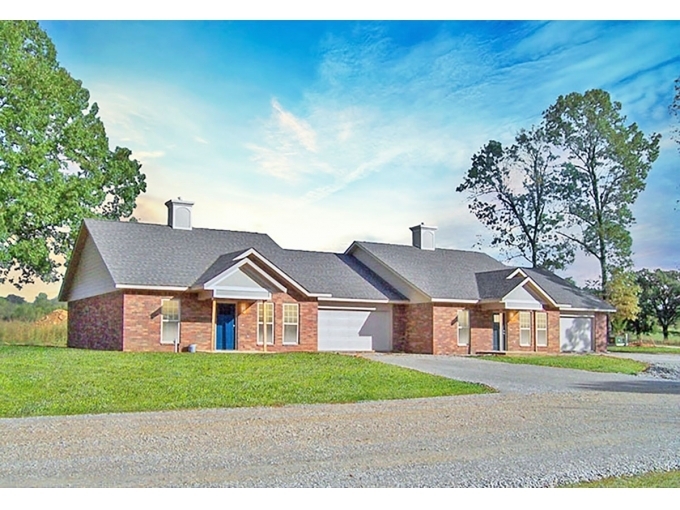 The company has constructed or rehabilitated over 70 multi-family projects in Arkansas. These projects have been constructed under the guidelines of various agencies including USDA Rural Development, ADFA HOME program, and/or conventional bank loans. T & E contractors employ rough carpenters, trim carpenters, plumbers, HVAC technicians, and heavy equipment operators. Professional Property Management, Inc. is located in the historic Case-Shiras house in Mountain Home, Arkansas. Professional Property Management (PPM) was founded in 1983 by Thomas J. Embach and currently manages over 80 rental properties with over 2,400 units. All properties accept HUD vouchers and some locations provide rental assistance through USDA Rural Development. The goal of our staff at PPM and our Site Managers is to provide our residents with a clean, comfortable, and affordable place to live for low-income families and seniors as well as market units for those in higher income brackets. For more information, please visit http://ppm-inc.vpweb.com/. Click HERE for a printable list of properties we manage. Tom Embach, founder and owner of Leisure Homes Corporation and Professional Property Management, is a graduate of Marquette University and received his MBA from Loyola University. Mr. Embach has developed and constructed homes and apartment communities since 1978 and has been a resident of Mountain Home, Arkansas since 1972. In 2009, Mr. Embach was appointed by Governor Mike Beebe to the new Arkansas Housing Trust Fund. He has also served as president of the Arkansas Home Builder’s Association. As a founding member of the Arkansas Rural Rental Housing Association, Mr. Embach served as its president in 1991. He is on the Board of Trustees of the National Home Builders Rural Housing council. Mr. Embach also served as Director of the Affordable Housing Association of Arkansas. In 2000, he received the Outstanding Achievement Award in Affordable Housing from Arkansas Development Finance Authority at the Governor’s Conference on Housing. THOMAS E. EMBACH - Owner and President of T & E Contractors, Inc.
Thom Embach, a licensed General Contractor since 1992, has worked in residential construction since he was 16 years old, learning the trade from the ground up by working with his father. Thom Embach has constructed/rehabilitated more than 70 developments, the majority of which were under affordable housing program regulations. He is Home Program certified by the Arkansas Development Finance Authority. Thom Embach has served the past four years on the Energy and Green Building subcommittee of the Construction Codes and Standards Committee for NAHB. He has been on the “Green Building Designation Board of Governors” since its inception. He is currently serving as Vice President of the Affordable Housing Association of Arkansas.